Would absolutely reccomend. Great staff, great place! Had everything we needed and had awesome accommodations for travelling with our dog! The motel is very close to highway 95. There are many good places to eat that are near by. Where to find Garysburg hotels near an airport? 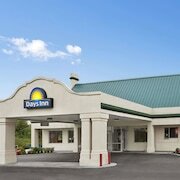 Where can I find hotels in Garysburg that are near tourist attractions? Travelers in Roanoke Rapids who are looking for a place to stay in and around Garysburg have plenty of options from which to choose. You'll find around 13 accommodation options can be found within a 0.1-kilometre (0.06-mile) radius of Garysburg's town center. 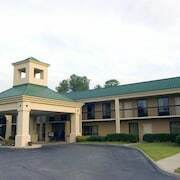 If you would like like to stay that is not far from the middle of Garysburg, the Super 8 Garysburg / Roanoke Rapids could be an excellent hotel. 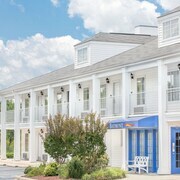 You could check out the Hampton Inn Roanoke Rapids and also the Country Inn & Suites By Carlson, Emporia, VA. 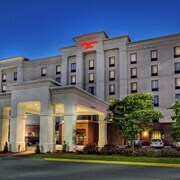 The Hampton Inn Roanoke Rapids is located 6 kilometres (4 miles) away from the main part of Garysburg. 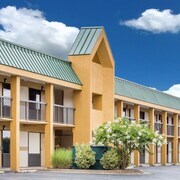 The Country Inn & Suites By Carlson, Emporia, VA, is positioned 30 kilometres (17 miles) away. Some other places to stay in this area are the Hampton Inn by Hilton Emporia and the Holiday Inn Express & Suites Roanoke Rapids SE. If you have time, you might like to see more of Eastern Piedmont. Eastern Piedmont offers tablelands. Commonly visited Eastern Piedmont tourist draws are historic mansions. In this part of United States of America travelers might also enjoy cycling, shore fishing and swimming. The nearest accommodations in Roanoke Rapids include Weldon and Weldon. Weldon is 4 kilometres (3 miles) to the southwest of Garysburg, while Weldon is 5 kilometres (3 miles) to the southwest. Hotels in Weldon include the Quality Inn Roanoke Rapids and Sleep Inn Roanoke Rapids. 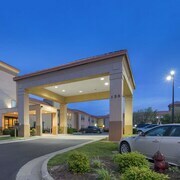 The Hilton Garden Inn Roanoke Rapids and Best Western Roanoke Rapids Hotel & Suites are amongst the hotels in Weldon. Just because you're on vacation, doesn't mean you can't enjoy your obsession for sports. Rocky Mount Sports Complex is situated 60 kilometres (36 miles) to the south of Garysburg. Those sports fans wishing to stay near to the sporting action can choose from the Quality Inn or the Days Inn Rocky Mount Golden East. Pitt-Greenville Airport is a logical airport, and is 95 kilometres (58 miles) away from Garysburg. 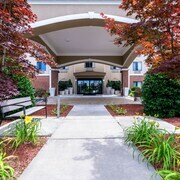 Conveniently located hotel options are Residence Inn Greenville and Courtyard Marriott Greenville. What are the most popular Garysburg hotels? Are there hotels in other cities near Garysburg? What other types of accommodations are available in Garysburg? Explore Garysburg with Expedia.ca’s Travel Guides to find the best flights, cars, holiday packages and more!